In a previous post, I discussed solving intermittent issues aka building more robust automated tests. A solution I did not mention is the simple “just give it another chance”. When you have big and long suites of automated tests (quite classic to have suites in the 1000’s and lasting hours when doing functional tests), then you might get a couple of tests randomly failing for unknown reasons. Why not just launching only those failed tests again? If they fail once more, you are hitting a real problem. If they succeed, you might have hit an intermittent problem and you might decide to just ignore it. writing output files in an “output” folder instead of the execution one (use of –outputdir). This is quite a common practice to have the output files written in a custom folder but it makes the whole pybot call syntax a bit more complex. giving access to log files from first and second executions via links displayed in the report (use of Metadata). Sometimes having the “new status” and “old status” (like in previous screenshot) is not enough and we want to have details on what went wrong in the execution, and having only the merged report is not enough. The unstable_test will fail 50% of times and the stable test will always succeed. echo "# Running portfolio a first time      #"
echo "we don't run the tests again as everything was OK on first try"
echo "# Running again the tests that failed #"
echo "# Merging output files #"
The script and the test can be found in a GitHub repository. Feel free to comment on that topic if you found out more tips on those Robot options. Until recently, my test cases written with Robot Framework were not driven by the GUI. Those tests were interacting with the SUT using many different ways: process library, database access, file system, REST requests etc. Those access usually don’t change too often during the lifetime of a product as they often become a contract for users/tools communicating with product (i.e. API). Whereas driving the SUT through the UI can be brittle and engage the team in a constant refactoring of the tests. This is summarized in the famous pyramid of tests. But, having no automated GUI tests, my pyramid was headless! So I decided to invest a bit in the topic. going a bit further in my knowledge of Chrome Developer Tool. There is an excellent online course by Code School. 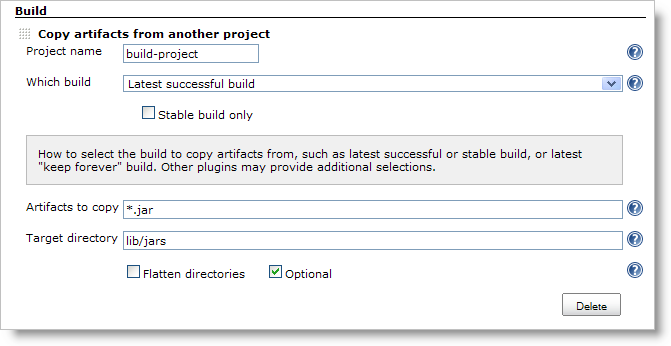 Those tools are soon becoming very useful when creating GUI driven test case. Note that, Firefox dev console seems to offer the same service, but somehow I feel more ease with Chrome ones. running a testing dojo with a group of peers. 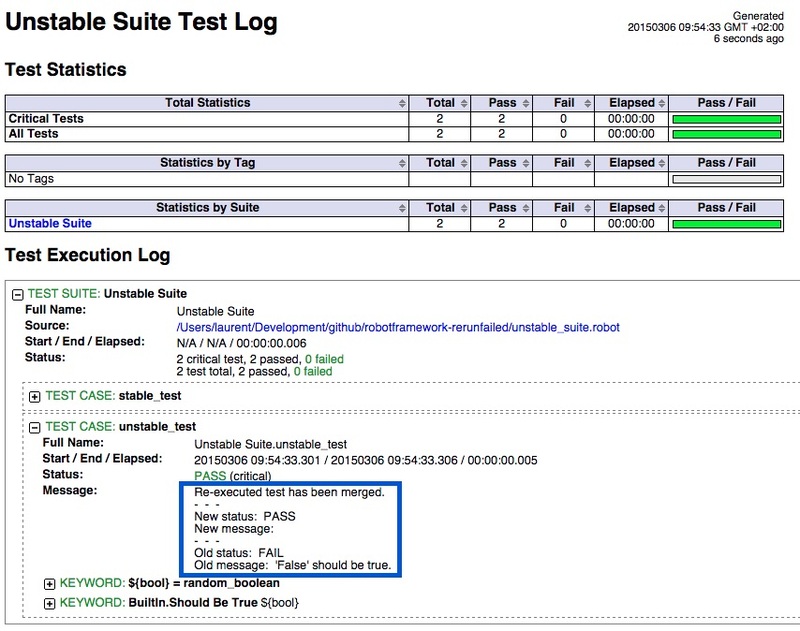 We used Jenkins as SUT (as I already did to perform some stress test trials) and it worked quite well although Jenkins does not seem to be the easiest web app to test as we had to use XPATH to locate element which can become obsolete quite fast. 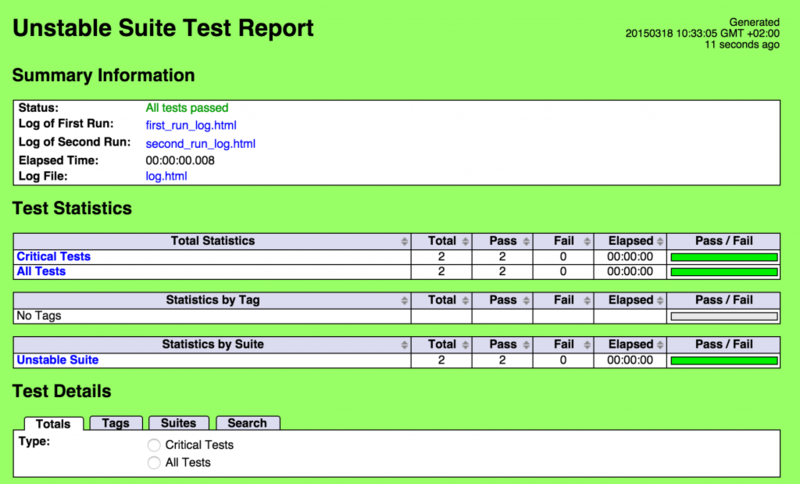 I was then able to create my first tests on the SUT I am testing. Those were more easy as expected as all the element I had to address had unique IDs! The biggest obstacle is to chain actions without using the horrible sleep keyword (see Martin again). 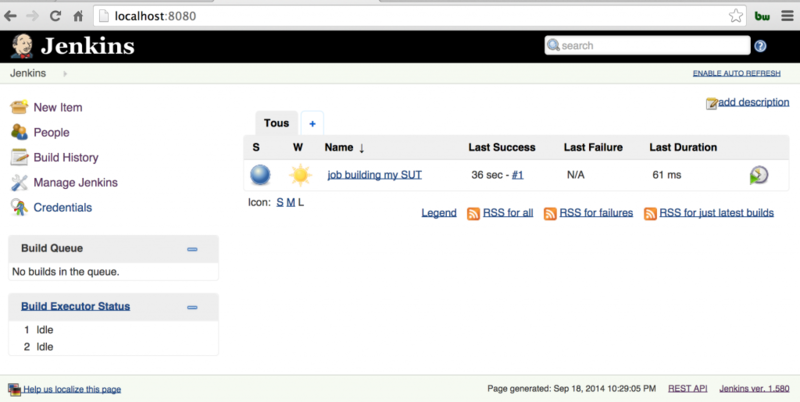 With the Robot Selenium library, the easiest way is to use (and abuse) the “wait until page contains element” keyword. 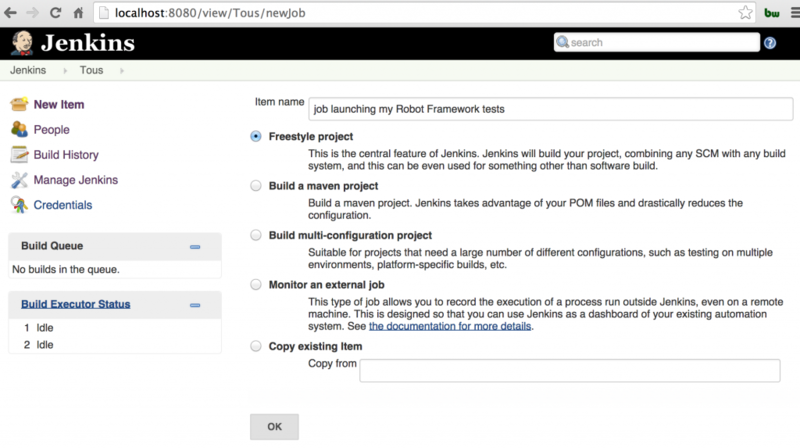 Last but not least, I needed to launch the tests using Jenkins (very easy and quite nice with the plugin) on a linux VM…. without a display! Here enters PhantomJS that is a headless browser supported by the Robot Selenium library. But somehow, my tests were randomly failing with it, so I gave it up and went back to Firefox. And here is the last character of this little story: xvfb. This display server sends the graphic to memory so no need to have a full/real display available. The install is not immediate but some shared their feedback on it so it is quite smooth after all. And that’s it, tests are running OK on this VM. And on the top of that, when there is a failure in the tests, the Robot Selenium lib is able to perform a screenshot and save it to disk to ease analysis of the issue!